At least one skier underdressed and had to head inside the lodge at the halfway point to warm up before venturing out for the rest of the course! He said he had to slow down on the downhills so he wouldn't get too cold! 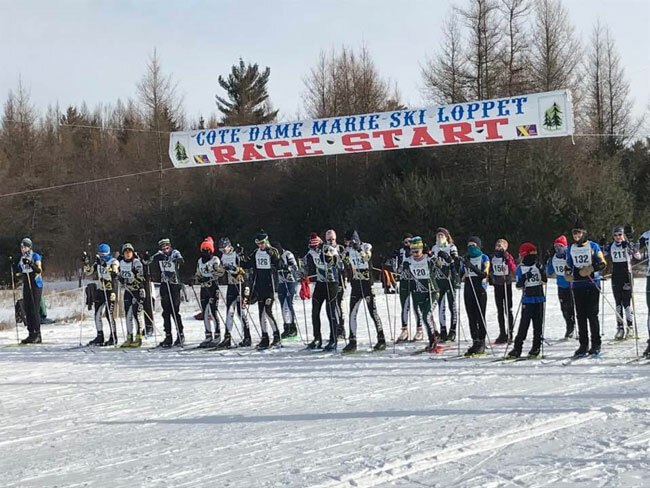 Regardless, 127 racers showed up the the 2019 Cote Dame Marie at Hanson Hills Recreation Area in Grayling, Michigan. With fast conditions (for how cold it was), with a firm skate surface, with winning male skier finished the 26km men's event in 1:11:42. 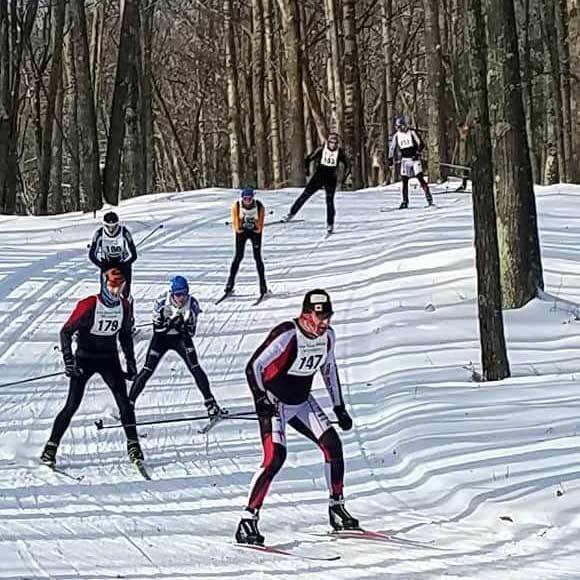 Alex Vanias (Hanson Hills / Cross County Ski Shop) was the champion, followed by Andy Liebner (Grand Rapids Nordic) and Sam Holmes (Team NordicSkiRacer) in 1:13:40 and 1:15:18. The men raced two laps; the women raced one lap. Rebecca Davis (Hanson Hills / Cross County Ski Shop) was the top women in 44:59, followed by the Cross Country Ski Headquarters' Mariah Frye Colie (47:24) and Vasa Ski Club's Karen Kirt (50:57). In the Junior one-lap race, Andrew Amato, Joshua Fairbanks and Evan Coulter were the top males in 25:49, 27:38, and 28:48. Top junior girls were Abigail Jean, Arianne Olson and Tess Crowley in 29:54, 30:27, and 32:22. These Michigan Cup points races were freestyle. There was also a citizens race, with both skate and classic divisions. Lloyd Anderson and Gwenn Stevenson were the top classic skiers (51:27 and 53:45). Danny Medina and Julie Olson were that top skaters in 30:43 and 46:16. Men's race - cold downhills!